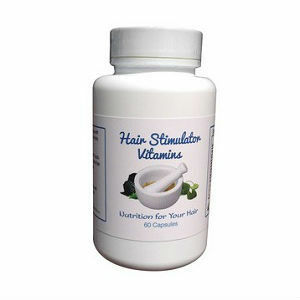 This is a review of Hairstimulator Products’ Hair Stimulator Vitamins. They company claims that this vitamin mix promotes growth of natural, healthy hair. They further claim to improve the quality and density of your hair, as well as the speed at which it grows. The company also suggests that their Hair Stimulator Vitamins can have positive secondary effects on both your skin and nails, improving smoothness and strength. Read on to find out more about this supplement & find out if it’s the right product for you. Based on the company’s instructions, it is recommended that you take 1 pill daily, with food. However, very little information about this product could be found on the company’s web site, and the only dosage information we could locate was found within the customer reviews. Upon critical review of the various amounts of vitamins, acids, and other included ingredients, it seems that these Hair Stimulator Vitamins don’t have high enough levels of the active ingredients (namely Biotin) to have a noticeable impact on the human body based on the suggested dosage. Remember, mothers (either pregnant with child, or nursing), as well as individuals under the age of 18 should always consult with a physician before using this, or any supplement. One bottle of Hair Stimulator Vitamins costs $12.95, and contains 60 pills, enough for a 1 to 2 month supply. There are no discounts available through the company’s web site, nor are there any sort of subscriptions available for additional savings, although it should be noted that it is possible to buy these products wholesale, which will find you savings on individual bottles. At such a low cost, individuals should consider the value of this product carefully. No mention of any sort of guarantee could be found on the company’s site. Also, there doesn’t seem to be a clear way to return the product, which suggests that once you’ve ordered, there’s no going back. The site did contain many positive customer reviews, however the contact information was not clearly provided, nor were the reviews very detailed. These vitamins seem to be a not so serious product. The company’s web site hardly contains any of the information needed to make an educated decision about the vitamins themselves. The levels of the various ingredients present in the vitamins are lower than is recommended to be impactful inside the human body. What’s worse, after exhaustive research, not a single peer-reviewed study could be found that supported the manufacturer’s claims on several of the listed ingredients, including chlorophyll. It is recommended that any individuals think critically about this product before purchasing it. John Brownstone	reviewed Hair Stimulator Vitamins	on June 28th	 and gave it a rating of 2.5.